You may have thought you didn't want a tangible time tracking device. Well, we think you thought wrong. Another cool feature: when users shake ZEIº, a text field or project’s to-do list opens up in the connected software so that they can add details or various other time and task entries. As engineers and designers, we were tracking our time at work but found that it is not an easy task, even if there are many good solutions out there… and the best thing is, we are not trying to create a completely new time tracking solution, we make existing ones more user friendly by combining them with simple and intuitive hardware. The software makes it easy to assign different clients and projects to each side of ZEIº, serving as a nifty solution for tracking billable hours (agencies, lawyers, consultants, etc.). 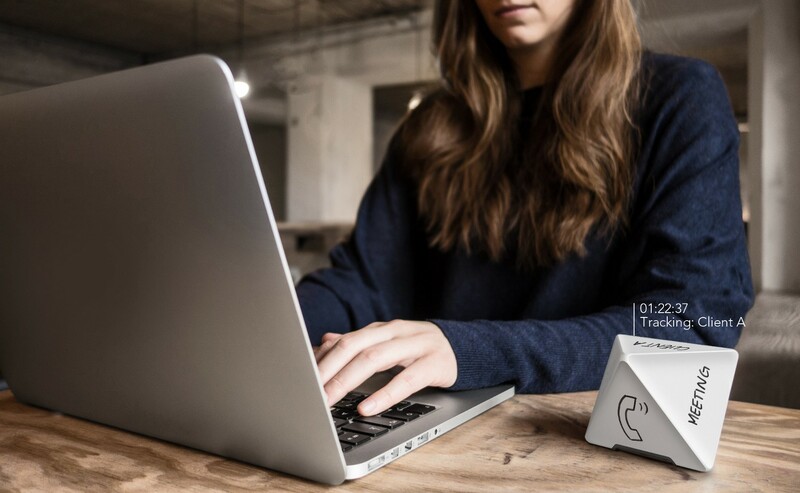 Where the fun part comes in though, is in assigning different clients, activities and projects to the physical object itself; you can write on the device with dry-erase marker or even add stickers. Did you read that? YOU CAN EVEN ADD STICKERS. 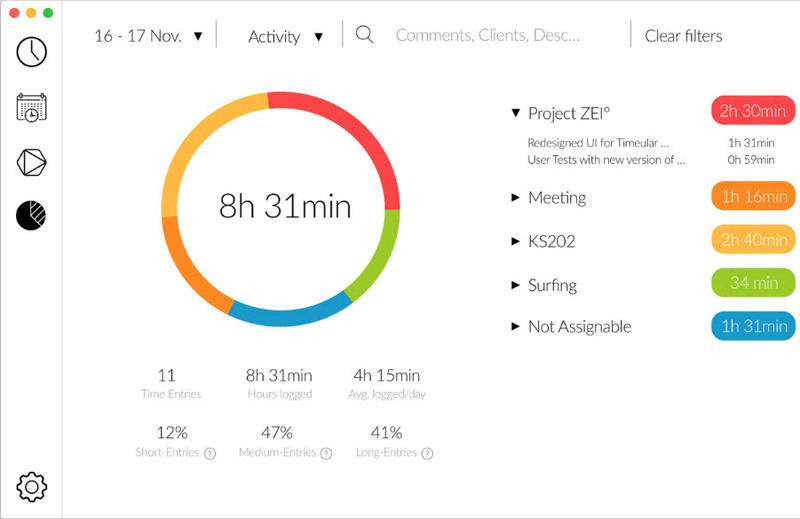 Users with more advanced needs can purchase a ZEIº Pro subscription which features personal weekly productivity reports, productivity recommendations, automatic CSV export to email, and integrations to leading time tracking apps, like Toggl, Harvest, Wunderlist, Timeneye, and Timely. ZEIº is about the size of a solid little snowball; it’s 100 x 74 x 74 mm, weighs 70g, and is made of polyamide material. It’s equipped with Bluetooth connectivity, and is powered by a replaceable CR2032 battery that should last about 1.5 years. Once the data is collected, there are some handy reporting features within the product’s software component, the core of which is a dashboard to view progress, status and tallies; there’s a timeline view, and the insights panel shows the number of time entries, total time logged, average time logged per day, and percentage of entries categorized by time (short, medium, long). ZEIº is available for pre-order via the company website for $129.00. The estimated shipping date is April 2017. Each purchase includes one ZEI device, the ZEIº base, and a year of ZEIº Pro (although original backers were given lifetime subscriptions). ZEIº Pro will cost users $3/month. Originally launched on Kickstarter, the company raised €313,637. ZEIº supports macOS, Windows, Linux, iOS, and Android. ZEI seems to be a revolutionary tool; I have never heard about it! The one I use is an online time tracking software called TimeCamp (available here: https://www.timecamp.com), and I’m satisfied with its service. I recently started tracking my time now that I am more into freelance work than ever before. Having gone with plenty of systems, paid and not, this one really seems to do the trick. The best feature is that I am not distracted, like you mention. Thought about Dungeons and Dragons right away 🙂 I like it, but I would have an issue not losing this thing on my desk, that is for sure. I am in the same boat that you are. I will have this thing for one month before I waste half a day looking for where it landed when it fell off the desk. For me, tracking time is a distraction, but necessary part of being a freelancer. Being able to just flip around a die is less distraction for me, plus anything made with a 8-sided die is very cool immediately.